A Liberal's Libretto: Congratulations to mezzo soprano Jamie Barton. Congratulations to mezzo soprano Jamie Barton. 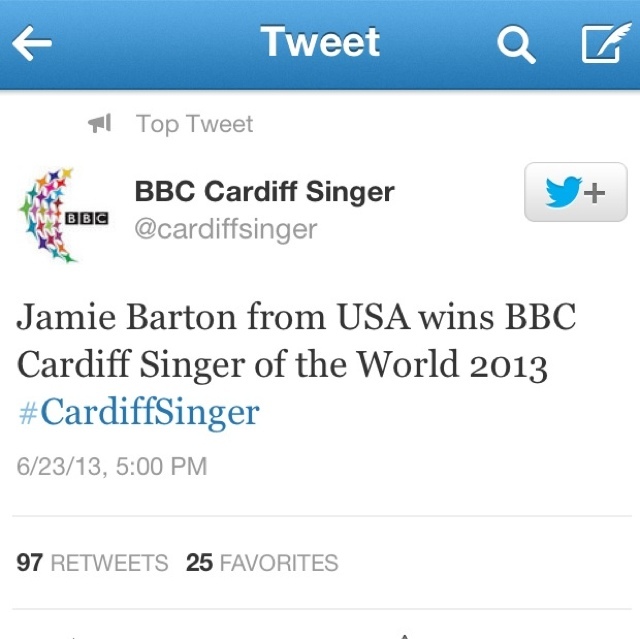 As shared on Twitter: American mezzo soprano, Jamie Barton, has won BBC's Cardiff Singer of the World 2013.